You want to put your best face forward, but over time, gravity, sun damage, dry air and even stress begin to take their toll on your skin. Ranging from a lack of tone and texture to the development of jowls, folds and fat deposits, aging robs you of your youthful appearance and may impact your self-confidence. At Bayview Plastic Surgery, Houston Plastic Surgeon Dr. Donna Rich has a number of both non-invasive and surgical options to help you fight the aging war! Beginning at the non-surgical end of the spectrum, Bayview Plastic Surgery offers a full line of Dr. Donna Rich’s Private Label Skin Care products. These products were specifically created by Dr. Rich for their ability to improve your skin’s look and feel. In addition, twice each month, our Intense Pulsed Light specialist offers both photo-rejuvenation and hair removal in our office, and Dr. Rich performs Sclerotherapy treatments for those wishing to improve the look of spider veins in the legs. Dr. Rich also performs injectable rejuvenation in our Houston plastic surgery practice, with wrinkle relaxers like BOTOX® Cosmetic and wrinkle filler Juvéderm®. 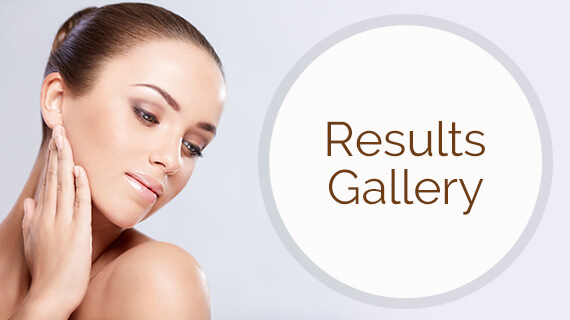 BOTOX® injections will smooth your more intense wrinkles, creases and fine lines. Juvéderm® fills in wrinkles and, over time, stimulates the production of collagen and elastin beneath your skin’s surface. Eyelid Lift: Aging or genetically drooping eyelids can make you look tired. An eyelid lift is a simple procedure that will leave you looking more youthful and refreshed! Face Lift: If you have sagging jowls, facial drooping and/or an aging neck, a facelift will turn back the clock! Forehead Lift: A solution to extreme forehead wrinkling, as well as brow drooping. Neck Lift: Often combined with a face lift, a neck lift will tighten the area beneath the jaw and eliminate your “turkey” neck! Otoplasty: Often called “ear pinning,” an otoplasty is performed to correct ear abnormalities. To learn more about each of these procedures, visit our Virtual Education Library. To schedule your one-on-one consultation with Dr. Rich, call 281-286-1000 or send us your contact information. For more on our consultation process, visit our Consultation Page.